From the Louis Vuitton Pochette Metis Bag to Diorama Handle Clutch With Chain, the Handle Trend just doesn’t know when to stop. It’s spreading widely and is infecting those that touch it with total obsession. 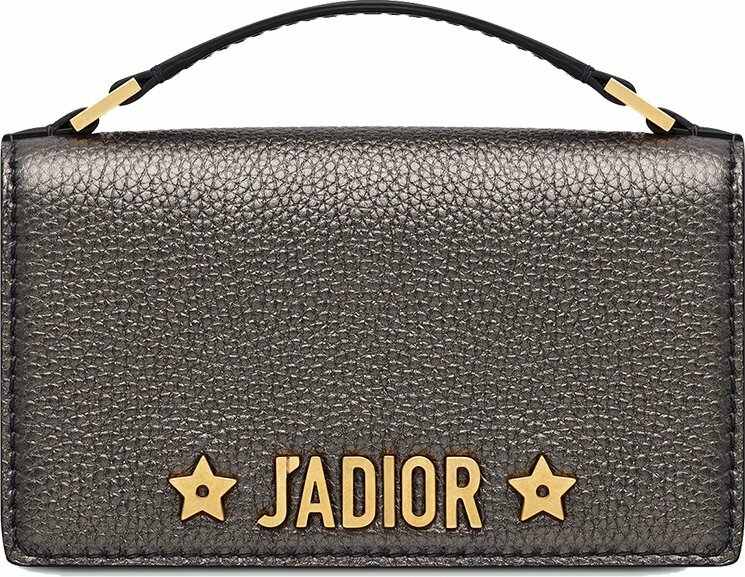 Now for the Fall Winter 2017 Collection, Dior added the J’Adior Handle Clutch with Chain. This is another can’t-resist handbag, so make sure you add it to your wish list. 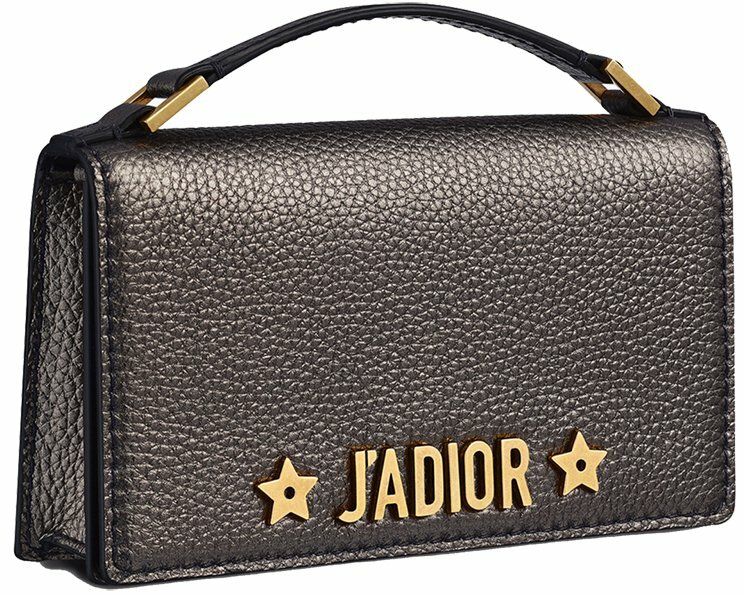 Simple but timeless look is what the J’Adior Handle Clutch is showing. This bag is made with a rectangle shape with sharp edges. The front features a flap but it’s also embellished with the new collection’s logo: J’Adior (meaning J’Adore Dior, I love Dior in French). On both sides of the logo, it’s crafted with two stars. The top comes with a chic handle for hand carry. However, this bag also comes with a removable chain for shoulder or cross body carry. This bag can transform from a day bag to an evening clutch in one instant. It’s very versatile. 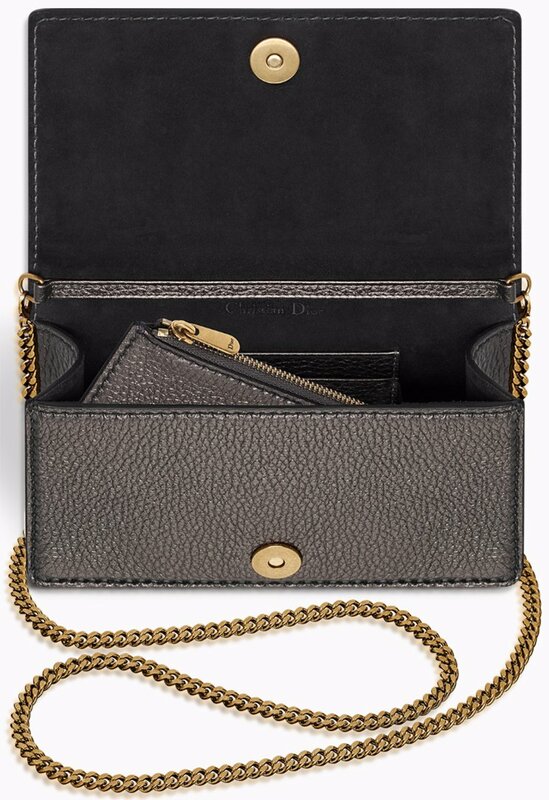 The interior of the J’Adior Handle Clutch with Chain is made with one large compartment for all your daily essentials. 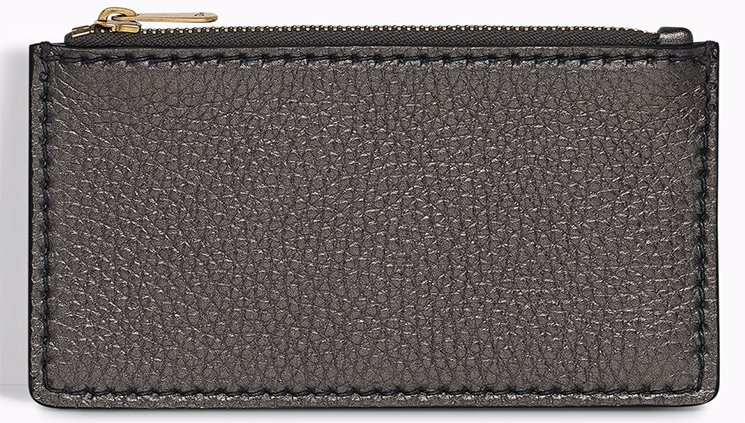 There are several small patch pockets for your cards and there is also a removable zipped pouch inside. The Gunmetal in metallic grained calfskin version is available for €1600 euro, £1400 GBP. The size is measured 19 x 11 x 4 cm and the chain is 120 cm.